Looking for a Used Virage in your area? CarGurus has 15 nationwide Virage listings starting at $67,885. Aston Martin has designed its 2012 Virage lineup to fit neatly between the opposite ends of its popular DB series. With more muscle than the DB9 and with almost the agility and brute force of the DBS, the British automaker’s Virage Coupe and its sibling, the convertible Volante, attempt to strike the perfect balance between the two, even unto the liberally borrowed exterior design. But no matter, this potent midrange sports car features, in addition to a Sport mode on the 6-speed auto-manual transmission, a bewildering 10 driver-selectable suspension damping configurations, five in Sport and five in Normal, that can be set to provide anything from sedate cruising to screaming journeys through some of the world's most convoluted roadways. The Coupe is delivered in the standard 2+2 configuration that includes 2 rear seatbelts for passengers who care to cram themselves onto the cargo area’s parcel shelf, though many prospective owners might want, instead, to select the available 2+0 variation without seatbelts. Cargo space, incidentally, totals 6.6 cubic feet in the Virage Coupe and 4.9 cubic feet in the soft-top Volante. Besides its DB9 and DBS brethren, the 2012 Virage must contend with the likes of Porsche’s GT2 RS, Ferrari’s 458 Italia, Mercedes-Benz’s SLS AMG and even GM’s Corvette ZR1 for the well-heeled consumer’s dollar. That’s some heady company, and Aston Martin’s ‘tweener is noted by a number of reviews to give up a bit of muscle to a few of its rivals and a bit of agility to others. Yet reviewers also concede that this heady scrambler does provide a nice blend of each commodity, which may attract the more practical-minded. The 2012 Virage’s 490-hp 5.9-liter V12 engine, meantime, fits neatly into the power gap between its DB9 and DBS stablemates. The standard 6-speed auto-manual transmission allows 420 lb-ft of torque, while boasting steering-wheel-mounted paddle shifters. The aforementioned selectable Sport mode in the 6-speed auto-manual, by the way, speeds up changing gears, tweaks throttle response and keeps the gearbox from up-shifting prematurely. A limited-slip rear differential, furthermore, helps keep the rear-wheel-drive-only (RWD) Virage planted firmly during acceleration, while standard performance tires and a more-forgiving stability control set-up allow for an exhilarating drive through hard corners. Finally, gas mileage is tepid, to say the least, with the V12 gulping required premium unleaded at 13 mpg city/18 highway. A tradition in the Aston Martin lineup has been its well-wrought cabins, and the 2012 Virage Coupe and Virage Volante are no exceptions. On the outside, a chrome grille, 20-inch painted alloy wheels and heated power-adjustable mirrors add to an already spiffy profile, while inside, plush leather upholstery, as well as leather, alloy and wood cabin accoutrements remain true indications of high-end posh. All of this luxury is, of course, complemented by heated power-adjustable sport bucket seats, remote power door locks, power windows and automatic climate control. Drivers can also take advantage of the standard memory for driver's settings, telescoping tilt-wheel steering and cruise control in making the journey even more comfortable, while the standard universal remote garage door opener smoothes things out at the end. The Volante, on top of everything else, additionally boasts a power-operated soft convertible top. Finally, entertainment consists of a 700-watt Aston Martin premium stereo system with 6-CD player, 5.1 surround sound, auxiliary iPod integration and a USB connection, while standard hard-drive-based navigation, phone pre-wiring and Bluetooth hands-free technology completes the telematics suite. Options for this high-end sports coupe and convertible include upgraded multi-spoke 20-inch wheels and oversized brake calipers available in a number of stylish colors on the outside, while the available 2+2 seating in the Coupe, as well as eye-pleasing cabin fascia designs and an auto-dimming rear-view mirror, each available in both trims, can be selected to grace the elegant cabin. Lastly, a 1,000-watt Bang & Olufsen BeoSound audio system with 5 tweeters and 5 woofers is an option that’ll set windows rattling for blocks. The more notable standard safety equipment aboard the 2012 Virage lineup includes 4-wheel antilock brakes (ABS), traction control, sport-adaptable stability control and side-mounted curtain airbags. Further standard safety features include xenon high-intensity-discharge (HID) headlights, front fog/driving lights and front and rear parking sensors. 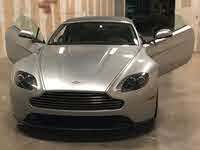 What's your take on the 2012 Aston Martin Virage? 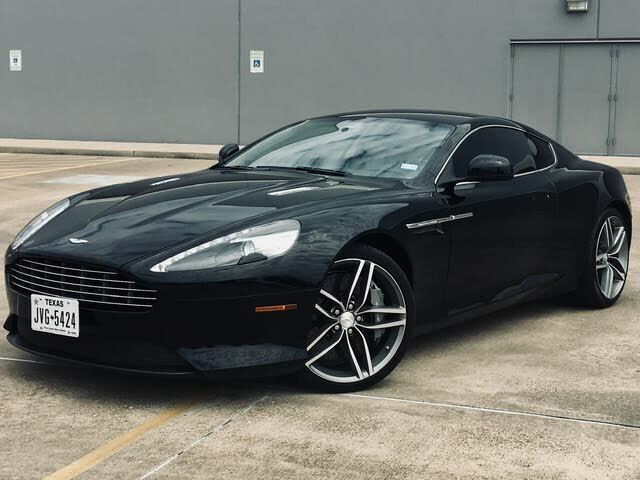 Have you driven a 2012 Aston Martin Virage?